Expected to launch this financial year. 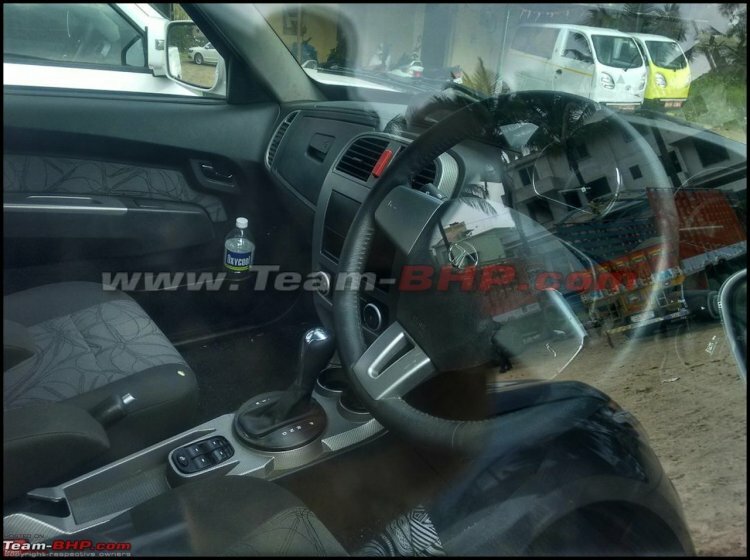 The Tata Xenon facelift prototypes seen in the pictures below feature the long-rumored automatic transmission, which was announced by former Managing Director, Fusion Automotive (Australian distributor for Tata Motors) Mr. Darren Bowler in August 2015. The 2.2L diesel engine could be updated to the 156 PS/400 Nm tune as in the Safari Storme and the forthcoming Hexa. At present, the Xenon is sold only with a 5-MT, in India and global markets. The Xenon facelift is expected to launch this financial year, if not in India at least in the Australian market where the Xenon is the sole offering of Tata Motors in the passenger vehicles segment. The exterior of the Xenon facelift gets a mild update with a new grille in body color and a new front bumper with redesigned foglight enclosures. There are no other changes to the exterior, or the interior for that matter. However, the Xenon facelift prototypes seen here are likely the export variant, given the presence of the Ford Ranger as a benchmarking vehicle. The presence of the Ford Ranger indicates the Xenon prototypes to be of the export variant. According to Mr. Bowler's interview to an Australian publication in August 2015, the Tata Xenon facelift will be based on a new hydroformed chassis, and will sport an automatic transmission to appeal to urban buyers. The engine will continue to be the 2.2-liter four-cylinder VariCOR unit, though the power and torque outputs could be updated from the present 147 PS and 320 Nm to 156 PS and 400 Nm.